Sirius 2 is a 32-transponder satellite, used for direct-to-home transmissions as well as video and data communication services. It transmits both analogue and digital signals. Sirius 2 has two DTH beams, each with 13 transponders used for transmission of TV channels to homes equipped with parabolic antennas. One of the beams transmits to the Nordic area and the other towards central and southern Europe. 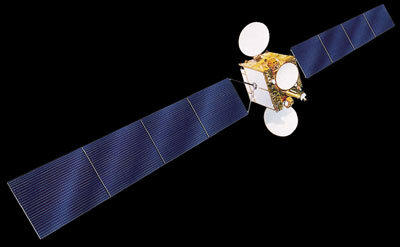 Sirius 2 was the largest telecom satellite ever built in Europe at its launch in November 1997. Its lifetime is expected to be around 15 years. GE AMERICOM, later SES, operates 13 of the transponders in the European beam, originally under the Name GE 1E. Sirius 2 has a third beam, for video and data communications. It consists of six 36 MHz transponders and covers northern and central Europe with a signal power of 46-48 dBW. The uplink band is 14.0-14.25 GHz and the sensitivity is high, more than 9 dB/K in the central coverage area. The FSS service is flexible because small uplink antennas can be used. The French company Aerospatiale built Sirius 2 in Cannes. Sirius 2 is based on the Spacebus-3000B2 platform. In April 2008, Sirus 2 war relocated to the 31.5° E position and renamed Astra 5A. The satellite failed in early January 2009 and was moved to a graveyard orbit.